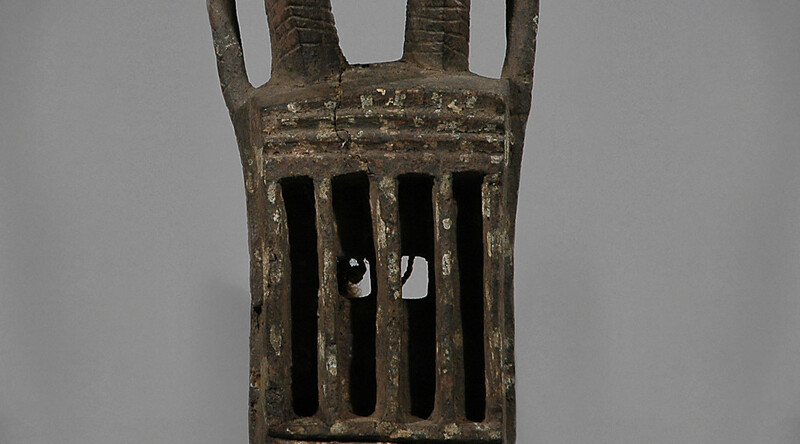 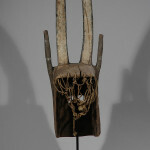 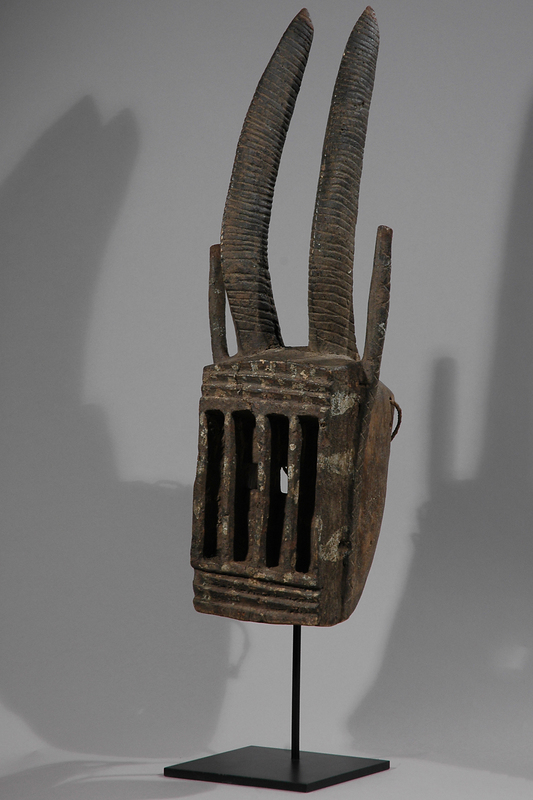 Antelope masks like this fine old piece, are admired by the Dogon for their beauty and the strength of their performance.The face of the mask is usually a rectangular box replicating Dogon architecture. 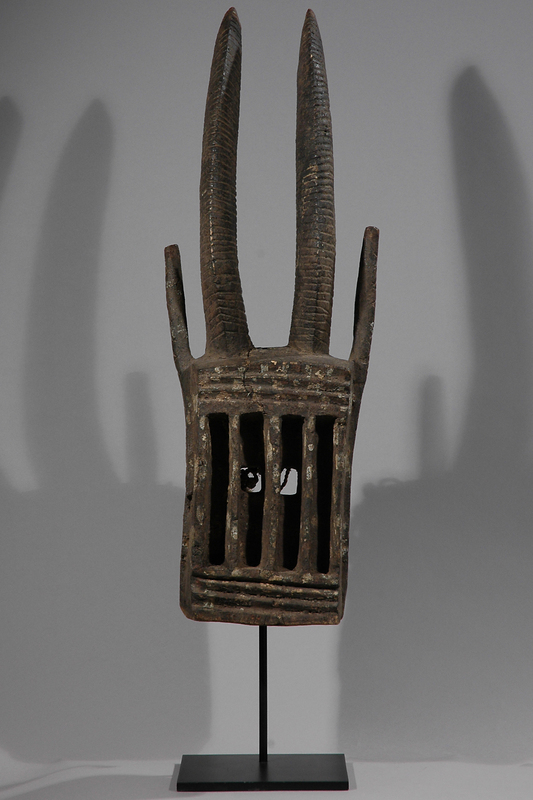 The antelope is a dominant figure in the Dogon Culture. 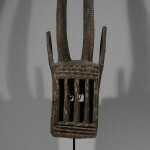 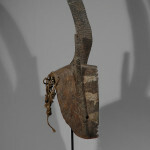 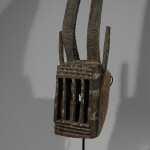 It is the symbol of the hard-working farmer in the dry agricultural region which the Dogon inhabit. 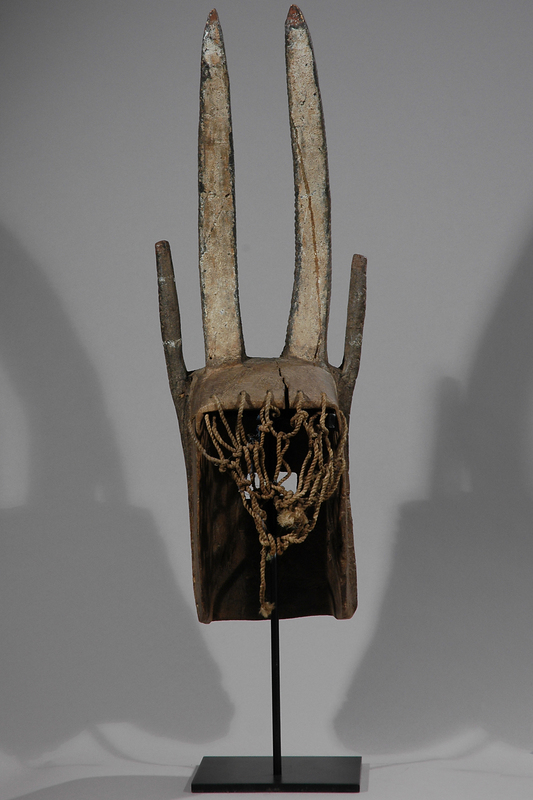 The masked dancers strike the ground with sticks, imitating a strong antelope vigorously pawing the ground, evoking the diligent farmer hoeing his fields. 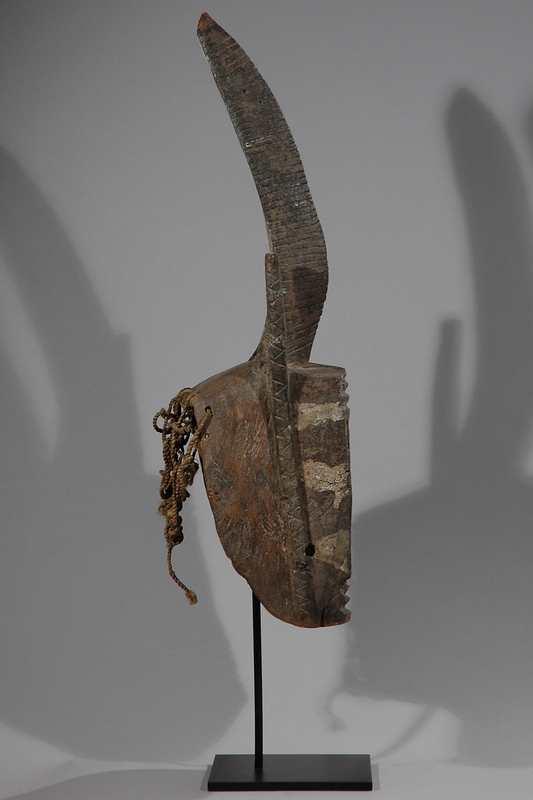 The dancers belong to a society of masks, called Awa,which is composed of young men who perform at funerals and end-of-mourning ceremonies to chase away the ghostly spirits of the departed to the wild bush outside the village.